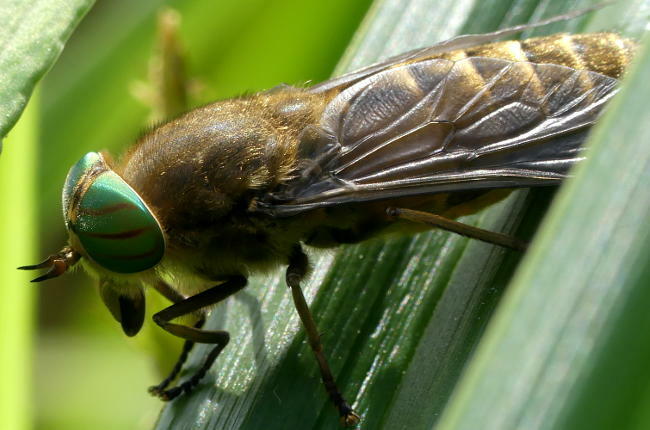 Diptera.info - Discussion Forum: Tabanus sp. or Hybomitra sp. or other? 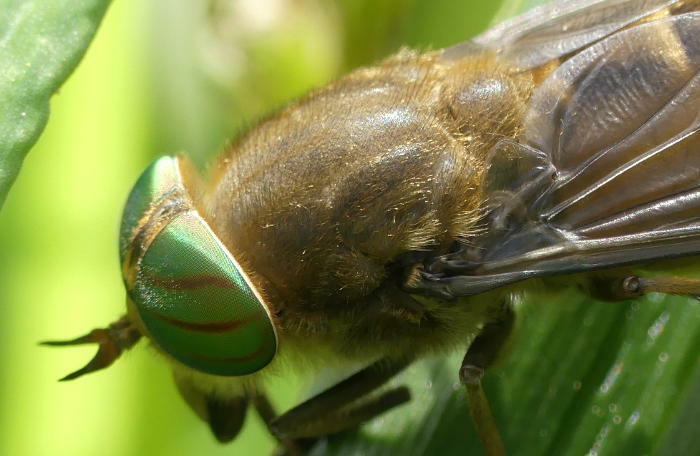 Tabanus sp. or Hybomitra sp. or other? I found the Tabanidae (about 18 mm) on 18 May 2018 in northeast of Bavaria/ Germany. What genus is it? Is more possible? It is the female of Hybomitra lundbecki or tropica. Colour of antenna suggests tropica, dark notopleural lobe suggests lundbecki. Notopleural lobe is shaded, maybe yellow ? Any more pictures available ? Many thanks for your answer, Theo! Perhaps this pic is a little bit better. Same result. Contradictory trpica / lundbecki. Many thanks for your efforts, Theo.